This has got to be one of the strangest things I have ever eaten. Don't get me wrong. It is pretty good actually, but it almost indescribable because it is like nothing else I've ever put in my mouth. The texture and the flavor are mild, yet a little bit exotic. It's kind of exciting. I found this gem of a recipe in a cookbook called The Silver Spoon. The book is an incredibly comprehensive overview of Italian food at its best. It walks you through traditional Italian sauces, antipasti, and pasta dishes with care and attentiveness. It contains my go-to recipe for pesto that hasn't failed me yet. All of these things said, my favorite part of the cookbook is the dessert section. It is divided into many categories, including family cakes, custards, and cookies. I came into possession of a beautiful, antique pâté mold that I was dying to use. I knew I wasn't going to be making pâté any time soon, but little tea cakes were definitely on my radar. 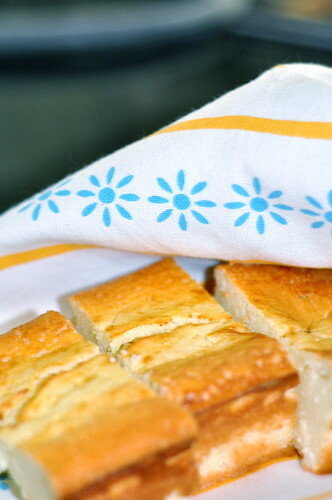 I leafed through The Silver Spoon dessert cakes section, hoping to find a simple recipe that would be as nice for breakfast as it would be with tea in the afternoon or with a little espresso after dinner. 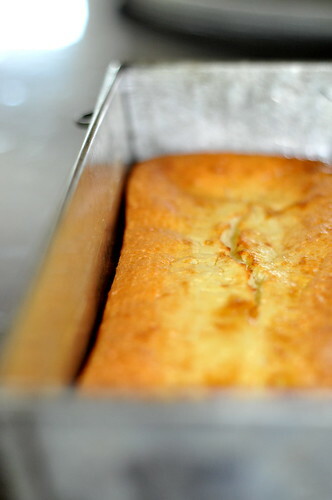 I debated between an almond cake, a semolina cake, and another apple cake. Instead of having to run out to the store, I decided that I would make something with what I had on hand. 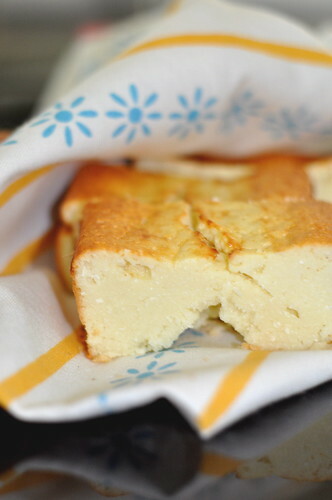 This cake jumped out at me, and guess what- I had ricotta, I had corn starch, I had yogurt, I had everything! When trying to explain this cake to potential eaters, I came up short. It is somewhere between a bread pudding, a british steamed pudding, a custard, and a cheesecake, if you can even imagine that. It is dense and smooth at the same time, but the flavor is so light that it further confuses the description. It is rich enough that you don't need a very large piece to be satisfied. My mom declared it to be "really delicious", and I totally agree. It is an odd little cake, but who doesn't like a little oddness from time to time? Preheat the oven to 400 degrees. 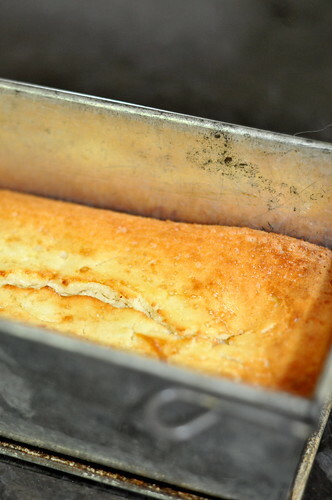 Grease a cake or loaf pan. Separate two of the eggs; beat and reserve the third. Sift the cornstarch over the yogurt in a saucepan and stir until combined. Add the sugar and cook the mixture over low heat until the sugar has dissolved and the mixture is quite thick. Add the ricotta and stir until the mixture thins a bit. Remove from heat. Whisk the egg whites until they hold soft peaks. Stir the egg yolks into the ricotta mixture. Carefully fold in the egg whites. Pour the mixture into the cake pan. Bake for 20 minutes. 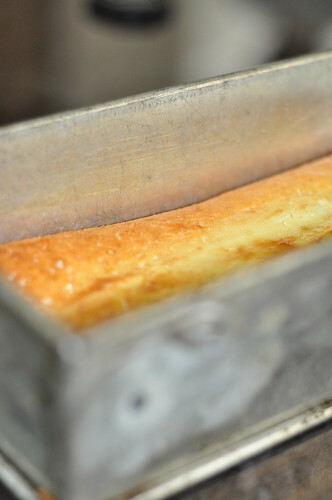 Brush the top with the beaten egg and return the cake to the oven for 10 minutes. Remove and cool in the pan on a wire rack.